My daughter likes the app. She likes to catch things, now that she knows her numbers and counting, this becomes very interesting to her. I just bought this game for my grandson. I am looking forward to show him and he will like it. By muman7 , Oct 2nd 2009. Simply nice and beautiful app for my 2 year old son. He likes it so much!!!!! 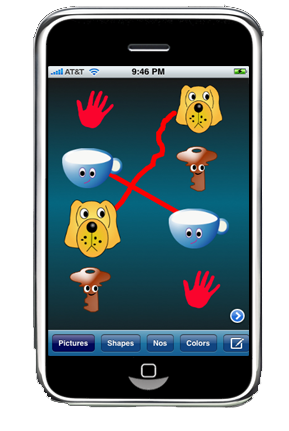 Count Magic is an excellent application which is designed for young kids between ages 3 to 8. It is ideal for Preschoolers / Kindergarteners. 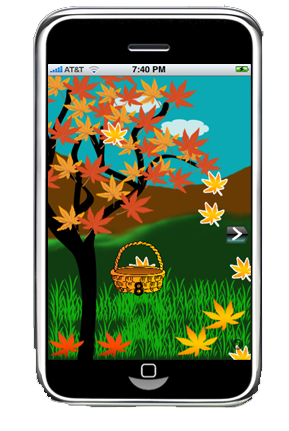 It will engage your kids as a game and also as an educational application for learning numbers and counts . There is a basket with number mentioned on it. There is a garden, where mangoes fall from trees. Kids need to catch the falling mangoes while moving the basket near the falling mango with their fingers. It is really exciting for them when they catch the mangoes. They get to know how many they catch and when they reach the number which equals to the number in the basket they get rewards and appreciation. There are different scenes such as Beach, Garden etc. So this game keeps the kid engaging for hours. A picture is shown and the kids should select the missing letter for the picture. There are three flavors. 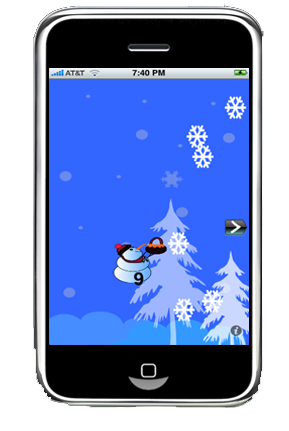 Based on the kids level, you can choose missing letter at the beginning or in the middle or in the last. 3) Engaging backgrounds like beach, garden. 4) Count apples, mangoes, beach balls. 5) Fun and entertaining for hours. This application is very ideal for parents since it engages kids while driving, in the airport or while waiting in the restaurants. Every time they catch, they get to know how many by real voice reciting the number. After they catch the right number mentioned in the basket, they get appreciated by real voice and receive a surprise. This was really fun for my kids. They enjoyed going throught all the sets. Fun way to learn math.